Clean Energy Fuels Corp. introduced a heavy-duty non-lubricated compressor for the natural gas fueling market. The CleanCNG™, developed by engineers at Clean Energy’s subsidiary Clean Energy Compression in Chilliwack B.C., incorporates revolutionary improvements in compressor design and intelligent engineering, resulting in ultra-low vibration and noise in a compressor that is unparalleled in scalability, parts commonality and overall performance. The CleanCNG™ is the culmination of 35 years in leadership in the compressor industry and the result of a complete ground-up re-engineering of the CleanCNG Standard. Standardized & Modular Construction. 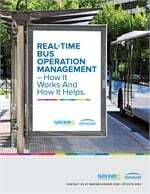 Streamlined modular engineering improves initial specification and cost-effectiveness, quicker delivery time and more reliable operation with extended service intervals. Specifically designed for expansion, the CleanCNG™ is available in 150 HP – 300 HP configurations. Ultra-Low Vibration & Noise. At 75 dBA @ 3m, low operating noise is a standard feature of the CleanCNG™, making it suitable for even residential neighborhood installations. Vibration measurements exceed API 618 and recommended industry guidelines. Scalable by Design. 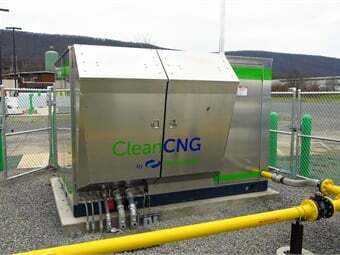 CleanCNG™ is the only natural gas compressor whose control systems, assembly and enclosure are designed and built to be mated together in an expandable manner. Proprietary heat management ensures that heated air is not recirculated between compressors, and performance remains consistent regardless of the number of compressors. .
TransLink, the regional transit authority to Metro Vancouver, B.C., and the first Canadian transportation provider to achieve Platinum sustainability status from the American Transportation Association, recently purchased six of the new CleanCNG™ units. Clean Energy Compression facilities meets all ISO 9001:2008 Quality Management System requirements. CleanCNG compressors are available using a variety of cylinder configurations and inlet pressures. Multiple compressor systems, using two or three modular compressor packages that can be integrated together on-site, offer higher overall flow rates and system redundancy.